It is the first FDA cleared follicular unit harvesting and implantation system. The NeoGraft system delivers automation of the FUE technique, the most advanced technology in the hair transplant industry. NeoGraft uses pneumatic controls to precisely extract complete individual hair follicles which can be immediately transplanted to the selected areas of the scalp. NeoGraft provides absolute exact harvesting and placement that deliver the desired results. With NeoGraft’s technology, each follicle is removed individually while the patient is comfortable. The results? A natural looking head of hair that you can wear however you please. It’s your own hair! F.U.E or Follicular Unit Extraction (FUE) is the way that grafts are transplanted back into a patient’s scalp following their removal is the same with both techniques. It is how the hairs are removed that is different. In the case of the F.U.E technique, each hair graft is removed from the donor region one by one using a punch tool. What Happens In An F.U.E Hair Transplant? When undergoing an F.U.E procedure, the entire scalp must usually be shaved in advance. 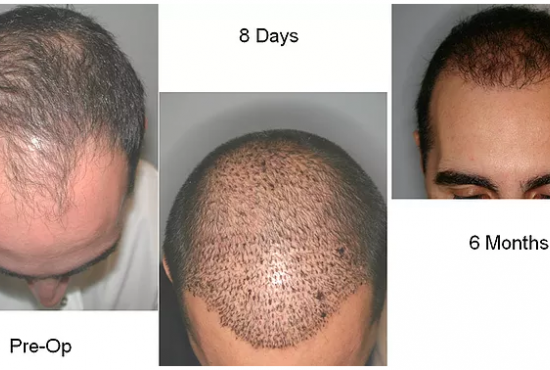 As the FUE technique only allows a surgeon to take every second hair graft from the donor zone, the yield of grafts from the area is lower. Many clinics are forced to go outside of this zone which means these transplanted hairs will become thin and may be lost as a patient becomes older. It can also result in circular scars in the donor region becoming visible over time. The survival rate of grafts in an FUE technique is lower than it is with FUT as the accuracy of the punch tool is lower than that of a technician using a microscope. There are, however, some instances where the FUE technique may be suitable. Patients who like to wear their hair very short may choose this method as the resultant scars can be less noticeable and more spread out. The FUE method is also useful when only a small area of hair needs to be transplanted, such as in the repair of scars or eyebrow transplants.